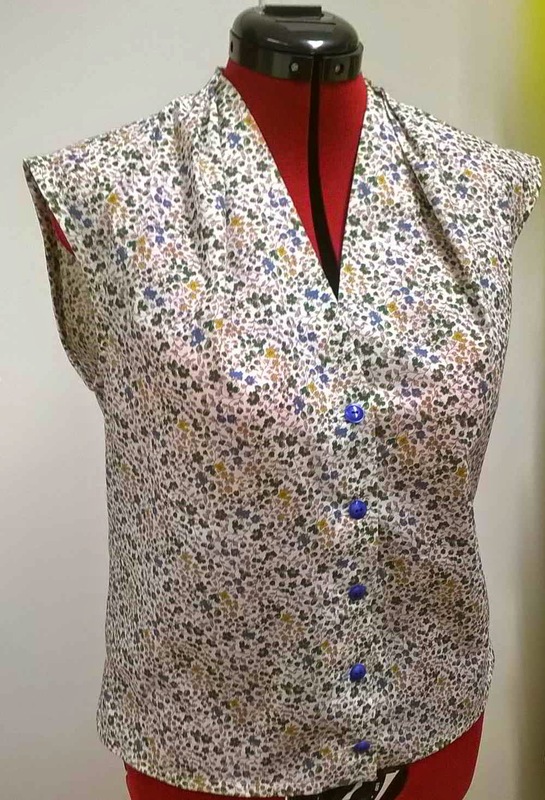 My third piece, another top but this time a button-up blouse. This is a pattern I have wanted to make for ages and I wish I had made it sooner as I really like it. It is Burdastyle 09/2011 -128 called "Straight Ahead". 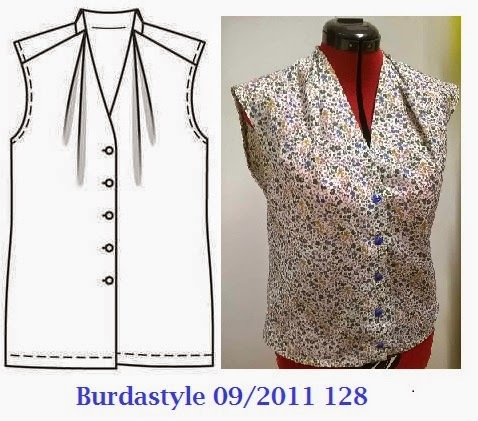 I love the simple lines but interesting details that makes this an interesting sew as well as lifts the top out of being too simple. 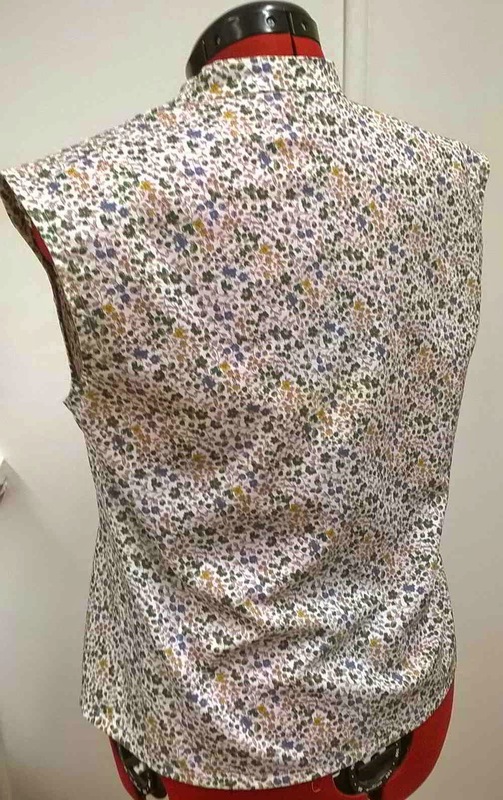 I think I will have to make another one soon in a plain fabric. The only real alteration was to shorten the pattern. That sucker is seriously long! I did shorten a little more than I might normally but I was constrained by the amount of fabric I had. Every top in this contest is either fabric from a remnant bin or a left-over from something else I have sewn! A real left-over wardrobe! I love the set-in collar at the back that lines up with the level of the pleats at the front. Hard to photograph in this fabric though. 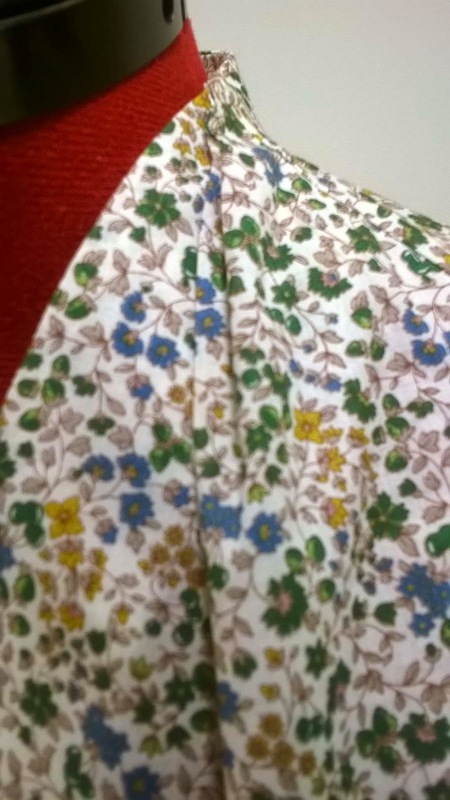 The fabric is a Japanese cotton (lawn?) from Spotties. Fairly stiff so not the best choice for the pleats in this top. I am hoping it may soften with a few washes. When I make it again I will try for a softer fabric. 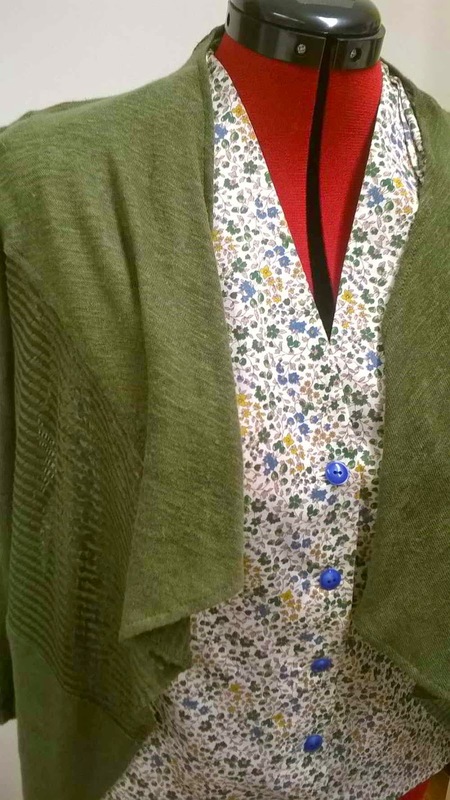 I like how this one coordinates with my central piece, the cardigan. So the full review is linked here. Another lovely top. Love that pop of blue that the buttons give it. Very nice. I really like this pattern. You could stitch down the pleats if they don't soften. I think it looks lovely, but if you are in doubt, try stitching like Vicki suggested. How did I miss this pattern? 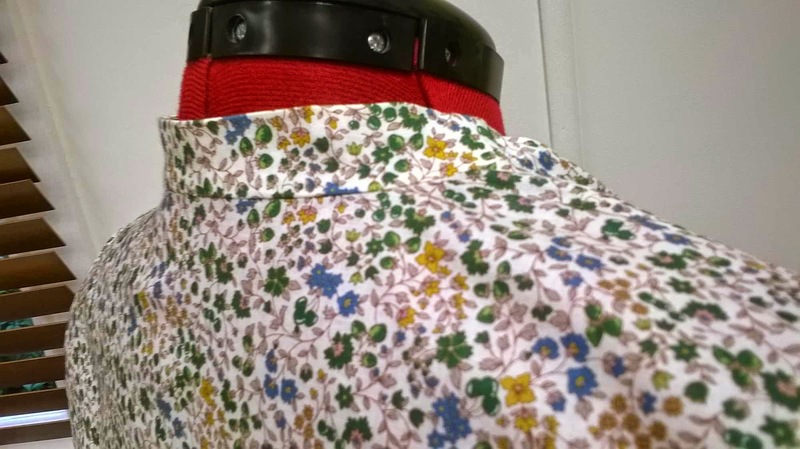 I'm sure its just what I've been looking for as a t shirt alternative, much smarter, and so pretty in this fabric. I've found the spotties Japanese lawn does soften nicely, so hopefully this print will for you. That is a sweet little blouse and the pretty print is lovely. I like the forward shoulder seam and the pleats. Your wardrobe is shaping up nicely. Very cute blouse. I really like the pleats. I'm looking forward to seeing more of your Wardrobe Contest pieces.